“What happened? 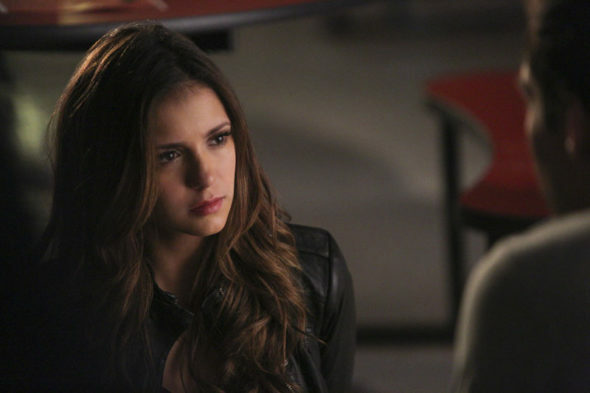 Why am I here right now?” The CW has released a new teaser for the series finale of The Vampire Diaries. The long-running supernatural drama is ending this March after eight seasons. The cast includes Paul Wesley, Ian Somerhalder, Kat Graham, Candice King, Zach Roerig, Matt Davis, and Michael Malarkey. What do you think? Do you watch The Vampire Diaries? Are you excited for the series finale? More about: The CW TV shows: canceled or renewed?, The Vampire Diaries, The Vampire Diaries: canceled or renewed? The Vampire Diaries: Would You Have Watched Season Nine?